High-end Mineral alkaline water pitcher green color EHM-WP6. Suit to family, easy to use, eco-friendly! 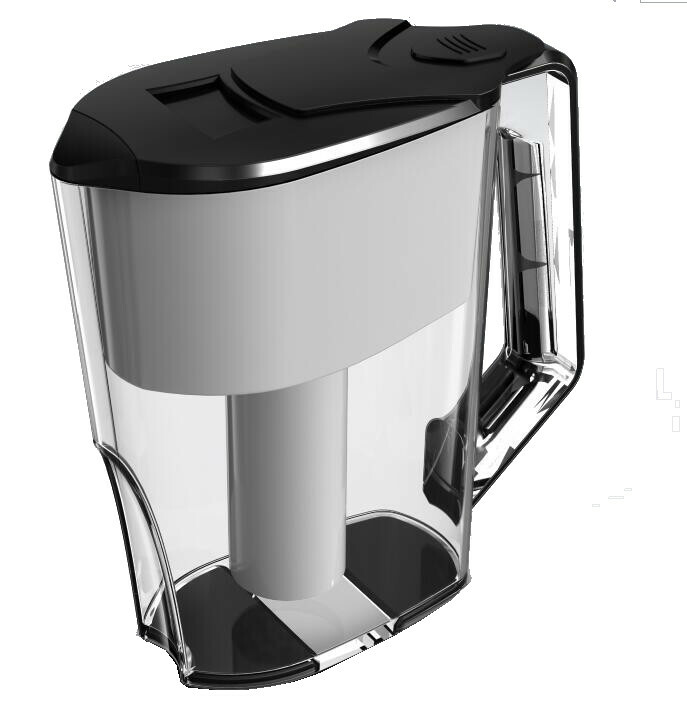 High-end Alkaline Water Pitcher. Perfect edge. Perfect filtration. Eliminate unpleasant taste and odor. Remove chlorine heavy metal. High quality imported filter with high capacity chloride removal. Chloride-free neutral purified water enhances skin care. To cleanse and clear water that makes your cooking even more tasty. Neither installation nor maintenance is required, with a user-friendly date setting cover. Covered long-spout to smooth water pouring. The Hi-tech water purifier keeps minerals and microelements that are essential for human health, and makes the water tasty. [Drinking] Natural tasty flavor water drinking an enjoyment. [Cooking] Suitable for cooking soup and rice. [Washing] The neutral purified water makes washing your face more comfortable. [Tea/Coffee] Purified water elevates the flavors and aroma of tea or coffee. 1.Wash the purifier with clean water before use. 2.Take the filter out, and soak it in cold water for about 20 minutes. It is normal and does not influence the performance of the filter if the new filter is wet or covered with moisture. 3.Insert the filter into its housing at the bottom of the reservoir, then push to tighten them up. 4.Put the date setting cover on the top of the filter; screw the cover clock-wise, and set the date for filter change. * Keep a mild water flow. Do not let water directly run through the filter. * Filter cold water only. Do not filter boiled hot water. * For each new filter, the first two runs of water is to flush out the filter. Either use the purified water for your plants or discard it. * The filler or container may contain carton residues. this is normal and does not influence the performance of your water purifier. You may discard the materials when you clean the container. * If the filter is left out of water for more than 30 minutes, soak the filter in cold water again for at least 15 minutes before use. * When the tap water contains dirt or visible particles (for example, after a typhoon), do not use the water for purification. Wait until the water becomes clean and clear. * Wash the container 1-2 times every week to maintain the cleanness and purification performance of the purifier. 1.Use municipal tap water only. Do not use dirty water (for example: water from rivers or containing mud, ink…etc.) or any water that does not meet safety standards. 2.When the tap water contains dirt or visible particles, do not use the water for purification. Wait until the water become clean and clear. 3.Consume purified water as soon as possible to ensure the quality and hygiene of purified water.